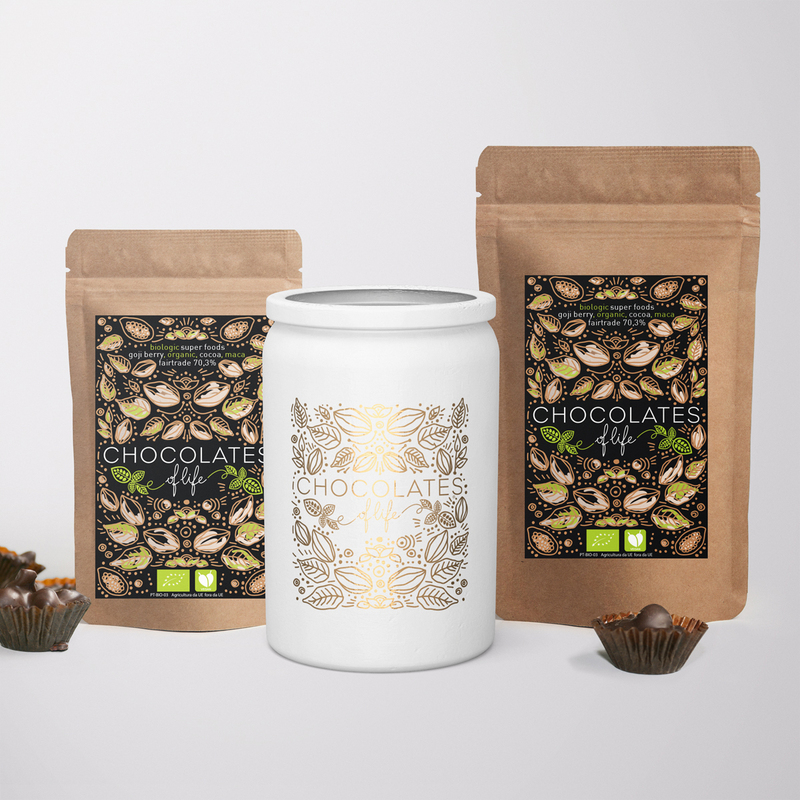 Restyling logo and new packaging with illustration for a vegan and organic chocolate brand. 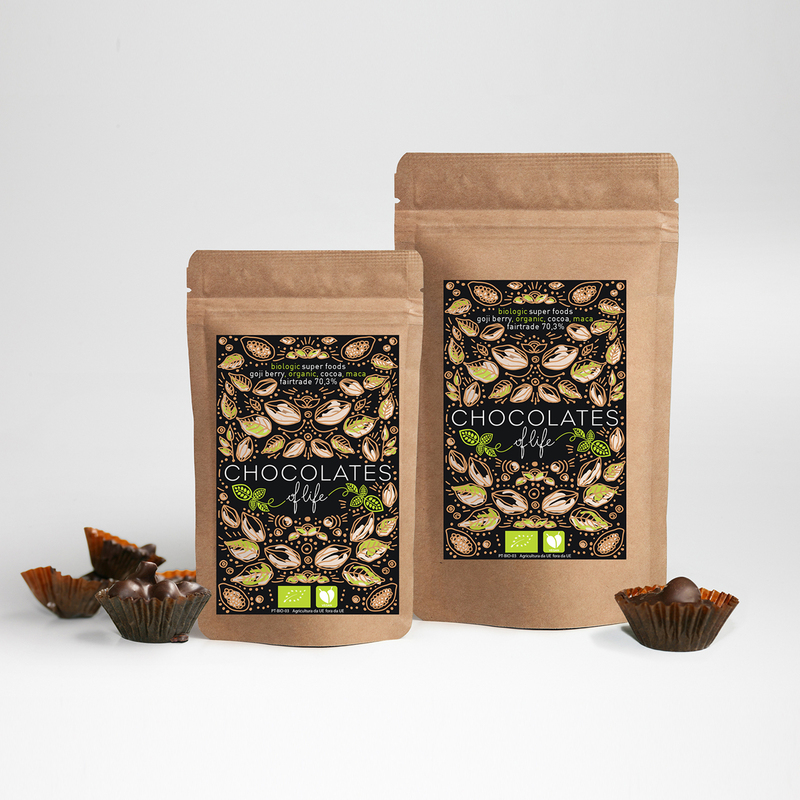 This is a exquisite chocolate brand and at the same time it is a super food. 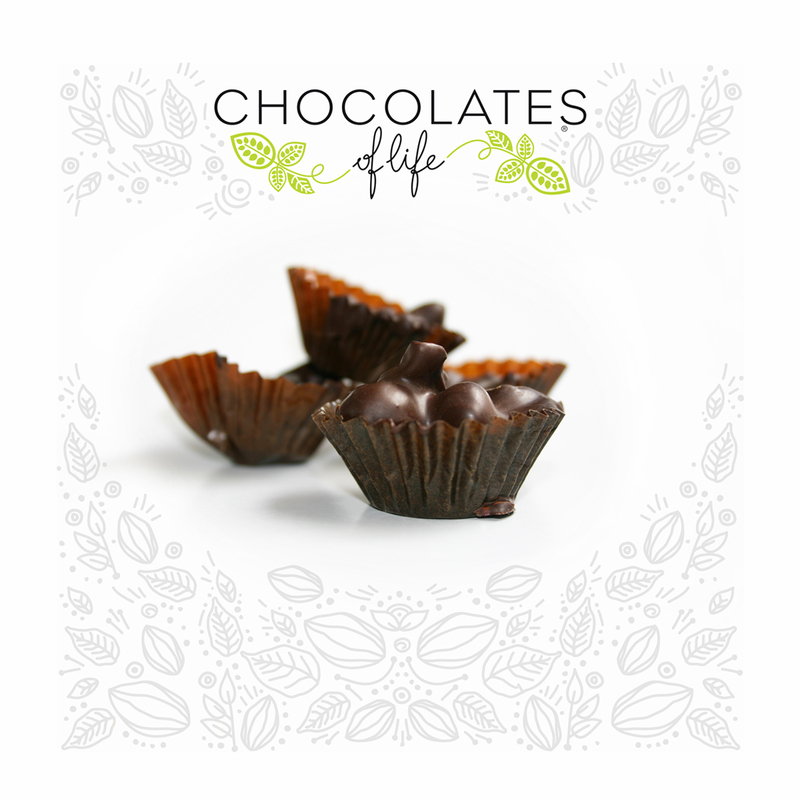 This recipe was created by the founder of the company, Dina Ornelas, and she made this the project of her life. 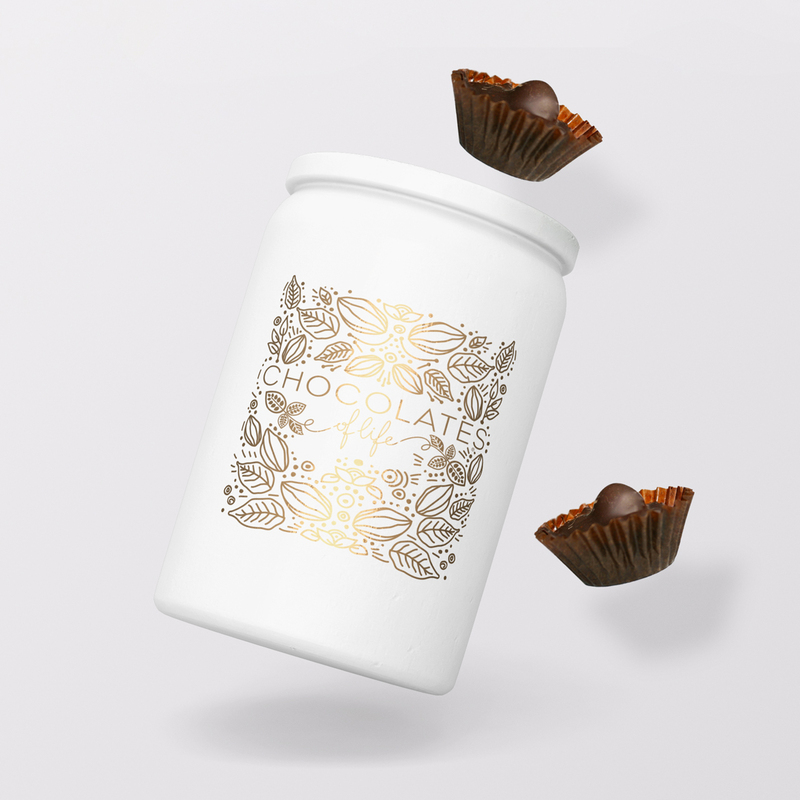 The client asked us to restyle the logo and the packaging so the visual impact is equal to the quality and flavour of the chocolate. 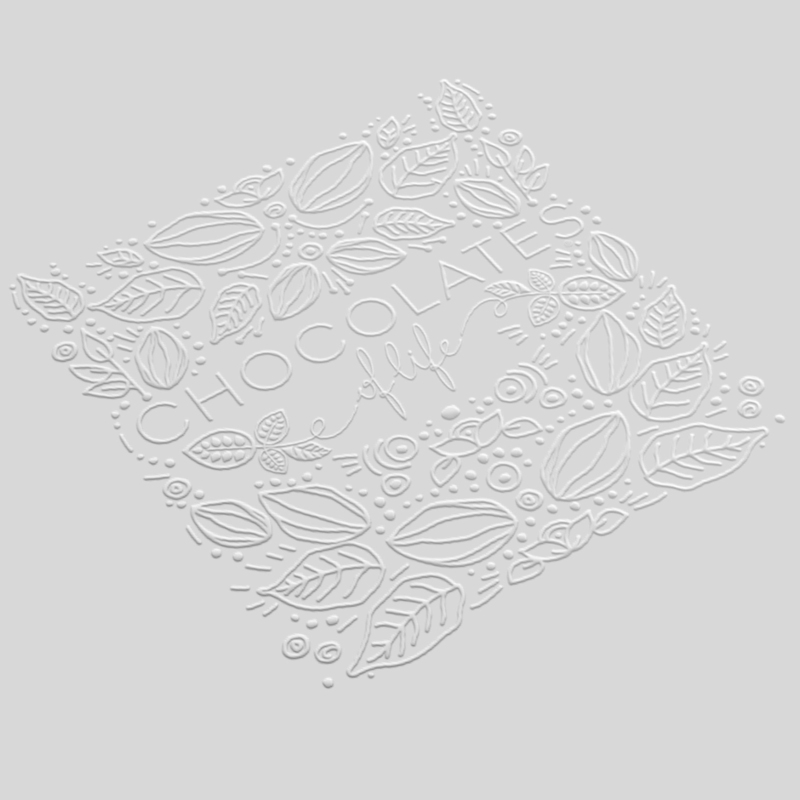 Not forgetting the importance of an organic and vegan visual representation, illustrations were inspired on the cocoa fields and flora with a mix of indigenous inspiration, we wanted to have a beautiful pattern to present the purity of this dark chocolate. 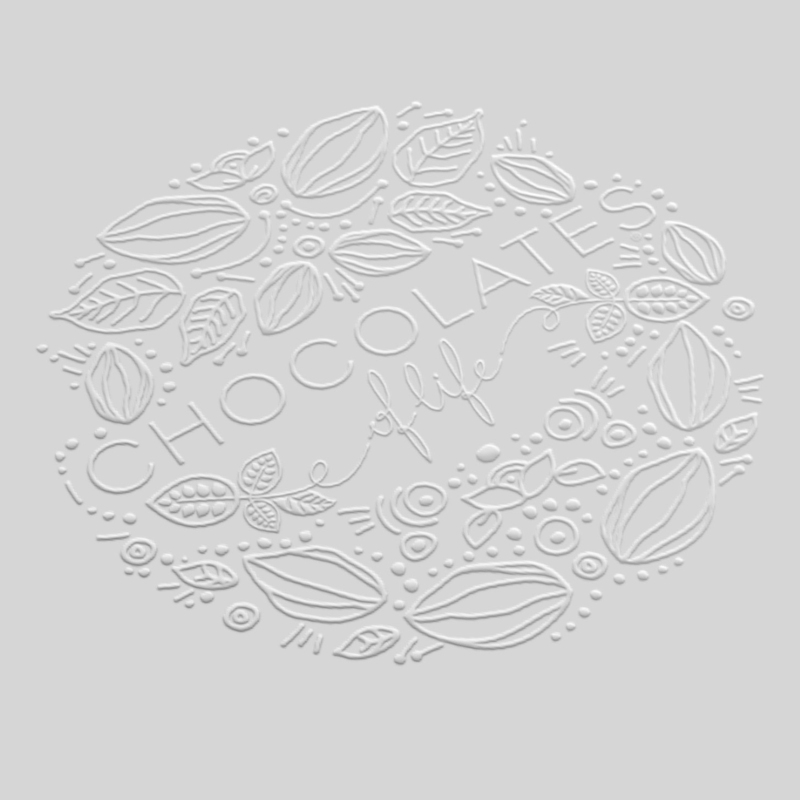 White is printed directly in the recycled paper to give it a beautiful contrast with the brown paper, black because this is a 70,3% cocoa (dark chocolate) and green for organic, vegan and fair trade. 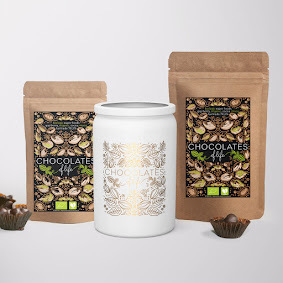 We created 3 different packaging for the same product., because we came to the conclusion that was necessary one bite size, for the impulsive buy, a bigger one for consumption at home or with friends and a gift metal box for offering in special occasions.